The Vendee and Ile d’Oleron are often overlooked when it comes to Surfing with the majority of people heading further south to the busy surf breaks off the coast of Hossegor and Biarritz. However both the Vendee and Ile d’Oleron offer some great surfing off the beaches. It is a question we often get asked in the summer with people looking for a sandy beach with a bit of surf to play around with and there is a surprising large number of quiet surf spots (even in August! )all along the west coast of France from Brittany all the way down to the border with Spain. 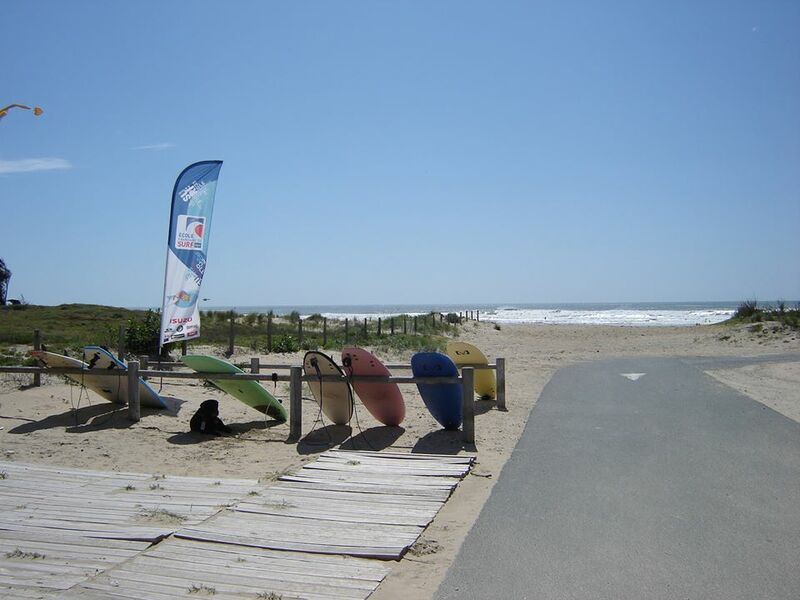 Several surf schools are located all along the Vendee coast. Close to Jard Sur Mer we have Duke Surf School on Boisvinet Plage and Le Poulpe Surf School on the beautiful Plage de la Mine. Further afield on Plage Les Conches (fifteen minutes drive from L’Oceano d’Or) is the Inside Surf School. This is the surf school we recommend to our customers. Les Conches is a great sandy beach for learning to Surf and the school is run by a great guy – Ghislain Vaginay, a former French surf champion and body board extraordinaire! Surf and paddle board hire is available from all the places above. For the experienced surfer the Vendee has the Bud Bud break which is just south of Les Conches and around a fifteen minute drive from Camping L’Oceano d’Or and several breaks around Les Sables d’Olonne including Plage de Sauveterre. Ile d’Oleron has a great reputation for surfing spots. 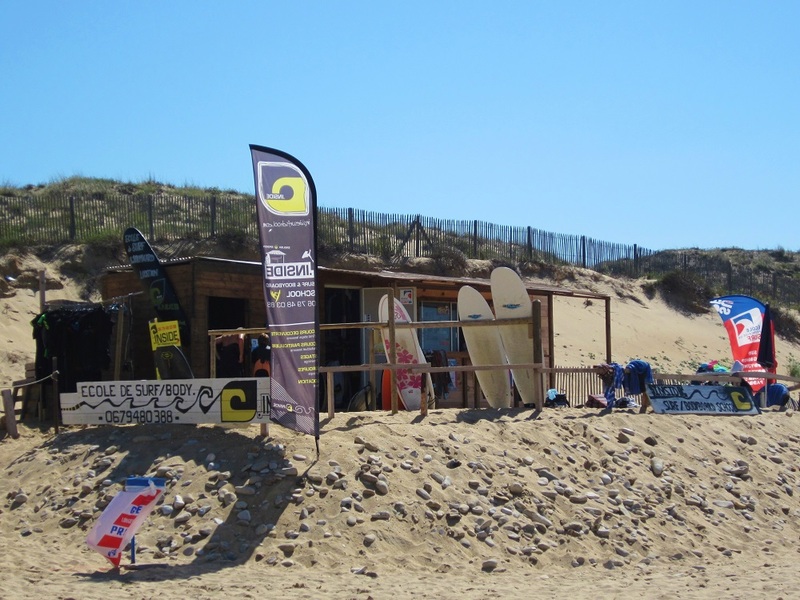 The best beaches for surfing on Ile d’Oleron are Saint Trojan les Bains, Le Grand Village Plage, Vert Bois and Les Huttes. For very experienced surfers there is the rocky Chassiron reef right at the top of the island which is a reliable spot or the calmer spot at La pointe des Boulassiers in Saint Denis d’Oleron. Hire and surf lessons are available all over the Island but the best surf tends to be found on the West side of the Island. There is Take Off Surf School which is on the Plage des Allassins in Dolus d’Oleron, Kabana surf on Plage de la Giraudiere in Le Grand Village Plage and Enjoy Surf which is on Plage de Chaucre in Saint Georges d’Oleron (ten minutes from Camping Domaine d’Oleron). We have still got dates available throughout summer 2017…..send an email to info@thomasjamesholidays.co.uk or give us a ring on 01942 602104 if you fancy spending some time in the surf this summer!